Harvest Tables extend an invitation to feed our entire community. Harvest Tables come from the age old tradition of Yancey County neighbors sharing produce with each other. We seek to reawaken the notion that we are neighbors who share and support one another no matter current circumstances. So far Harvest Tables have been established in four different neighborhoods throughout Yancey County. The set-up looks like a farmer’s market, with food displayed and people free to choose what they and their families wish to eat. At Harvest Tables we have conversations about growing food, share cooking tips and recipes, and talk about what our families like (and don’t like!) to eat. 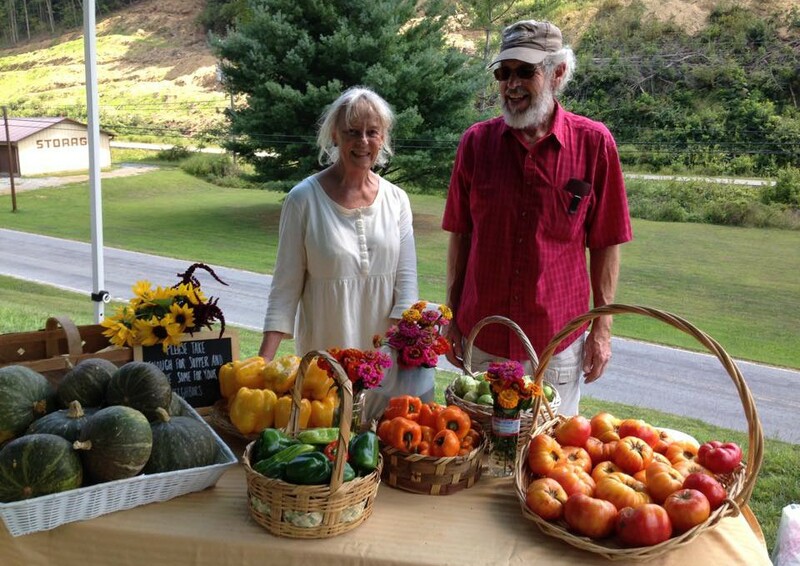 Abundance is gathered from the many gardens and farms in Yancey County, big and small. This way of sharing food from gardens and farms makes efficient and equitable distribution of local food to people more probable, while reducing waste. Harvest Tables do not take the place of vegetable stands and farmer’s markets. We encourage everyone to invest in the hard work of those who grow food for their living whenever possible. Harvest Tables dates, times and locations can be found on the calendar below. Contact us for more information on how to share and receive at Harvest Tables.